Today’s a great day to celebrate the ancient festival of Lupercalia, and how better than with some festive artwork? 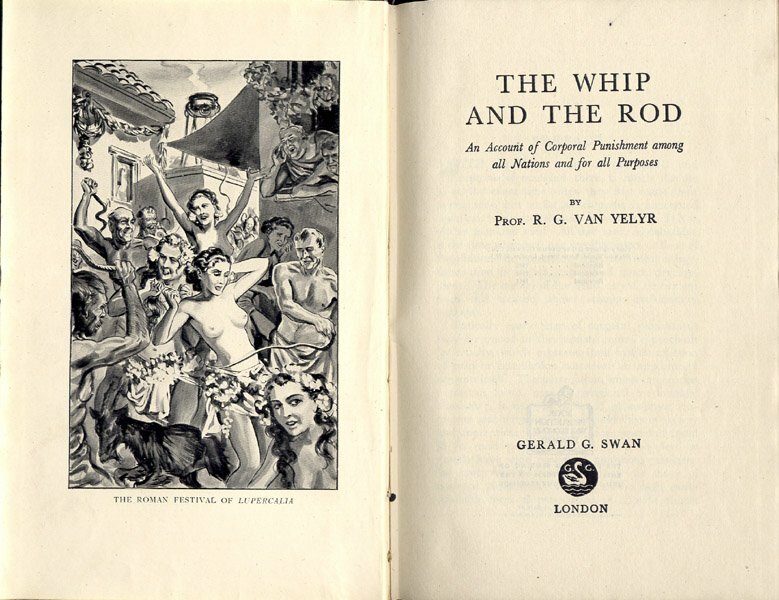 This Lupercalian scene is from the frontispiece of The Whip And The Rod, by the probably spurious Professor R.G. Van Yelyr (said to be the pen name of George Ryley Scott).